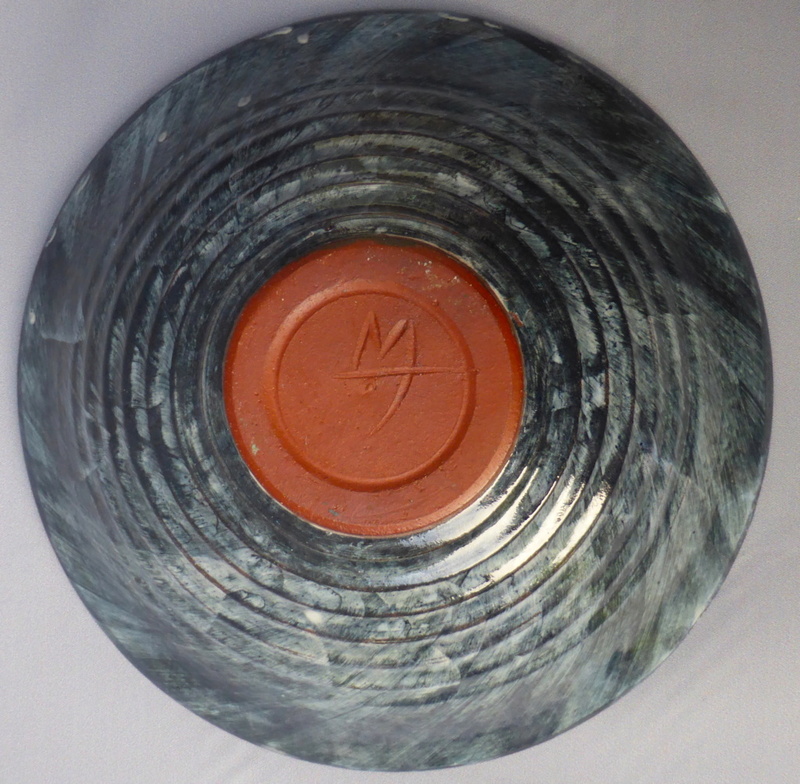 Attractive Bowl with Unidentified Mark - Brett Miller? Wondered if anyone can identify who made this bowl? 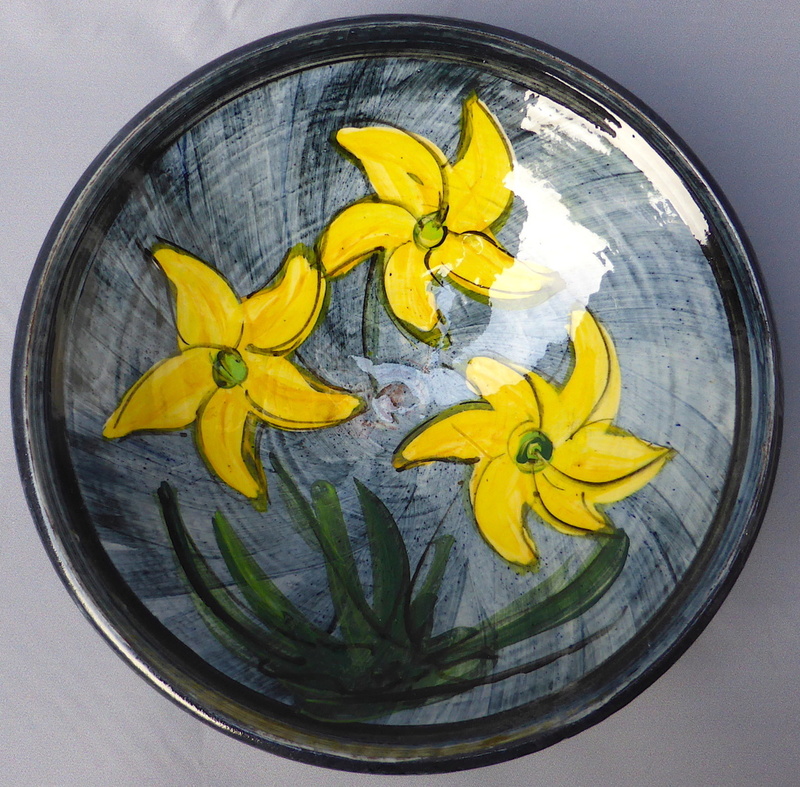 It is well potted and has been handpainted with yellow flowers. The base bears an incised mark - an M or W with line across one side. The bowl measures 8" by 2.5". Re: Attractive Bowl with Unidentified Mark - Brett Miller? Thanks Naomi, I might try to contact him to confirm. will keep you posted. Someone has suggested Hannelore Meinhold Morgan. 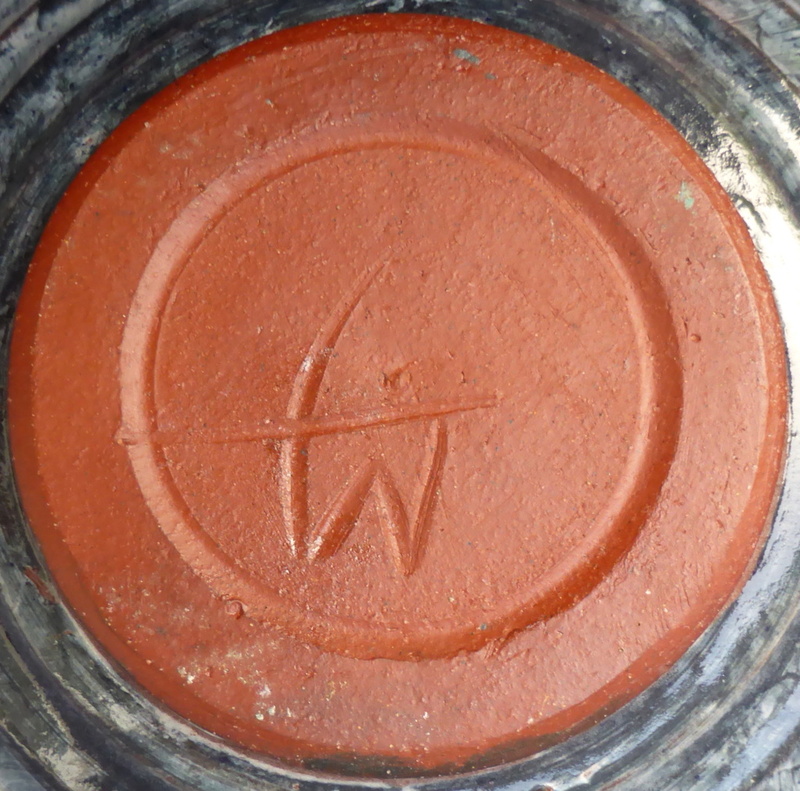 The Marks book says that version of her mark is painted where as this is incised, and it doesn’t seem to match the examples of her Pottery online. Maybe she’s still contactable.